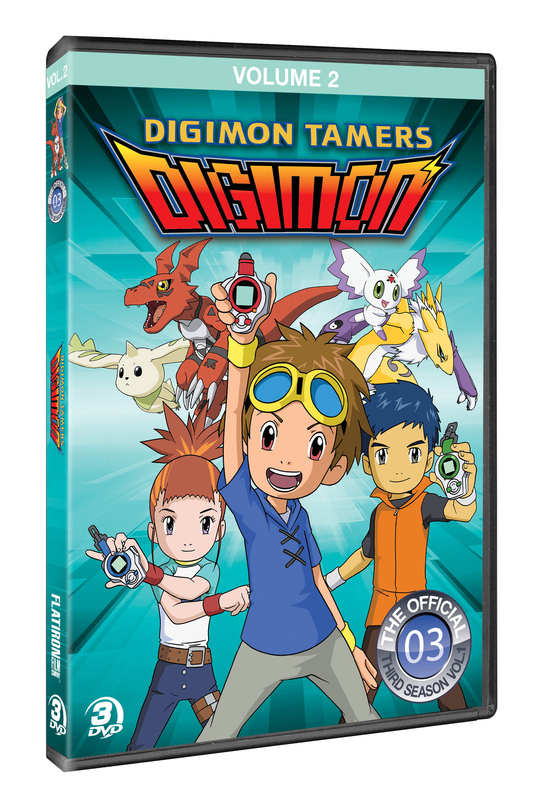 In DIGIMON TAMERS VOLUME 2, the adventures continue with episodes 18-34 of Digimon Season 3! 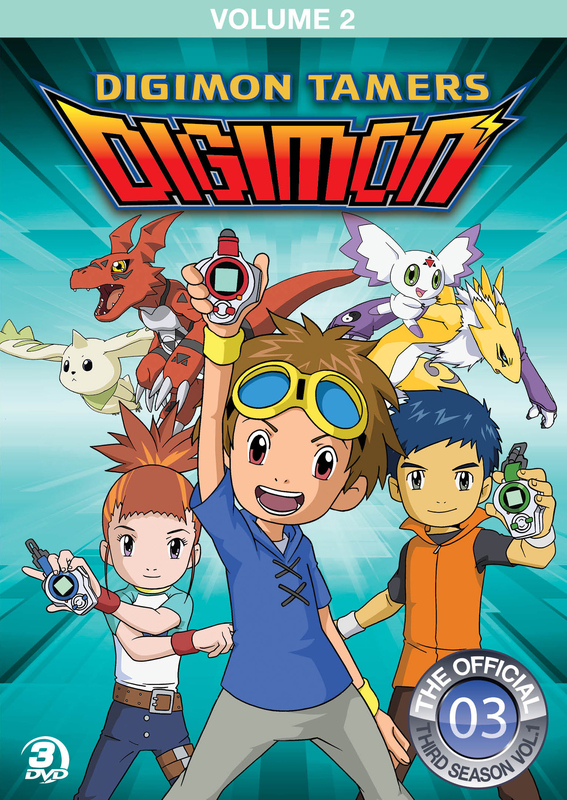 Takato, Henry and Rika, three normal kids who are mega fans of the Digimon card game, quest through the Digital World, which is plagued by wicked Digimon Gods. In an effort to defeat those who seek to annihilate the World’s barriers and networks, they pair up with good Digimon and together battle the heinous forces. But in an epic battle with Meramon the group is split in two, each cast off in a different direction. As they traverse strange and sometimes dangerous dimensions in order to reunite, the fate of the Digital World hangs in the balance.